Do you need professional assistance to relocate your home or business? Federal Companies can help. As dedicated interstate movers, we can deliver your possessions anywhere within North America. If you plan to move within the state of Illinois or Missouri, we will designate an experienced team to assist. 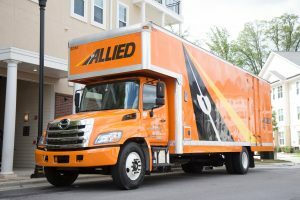 However, if your relocation involves heading to an entirely different state, we will rely on our partnership with Allied Van Lines. As an agent, we coordinate efforts with the best interstate movers available. In this role, we rely on other resources as well for clean and secure storage and warehousing. With a history that dates back more than 105 years, we know the stress involved with a long-distance move. Our goal is to prevent chaos, so you enjoy a seamless moving process. Regardless of the size of your home or business, we have the qualifications required to ensure your goods arrive on time and in the same condition as packed. At Federal Companies, we offer customized solutions to our customers. If you need assistance with packing and unpacking, we have a specialized team available. We also handle the transport of vehicles and oversized items including pianos, pool tables, hot tubs, and outdoor sheds. Our logistics expert helps determine the safest and fastest route and identifies potential challenges like narrow streets, multiple stairs, and so on, making it possible for the interstate movers to do their job without running into problems. One thing that makes Federal Companies unique is we pay attention to even the tiniest detail. We ensure our interstate movers have superior quality trucks, cutting-edge equipment, and the best supplies. Not only do these items help them perform the work more efficiently but these also keep them safe. With everything combined, you can relax. For your upcoming move, please contact us at Federal Companies for the best service in Illinois and the St. Louis, Missouri, area.